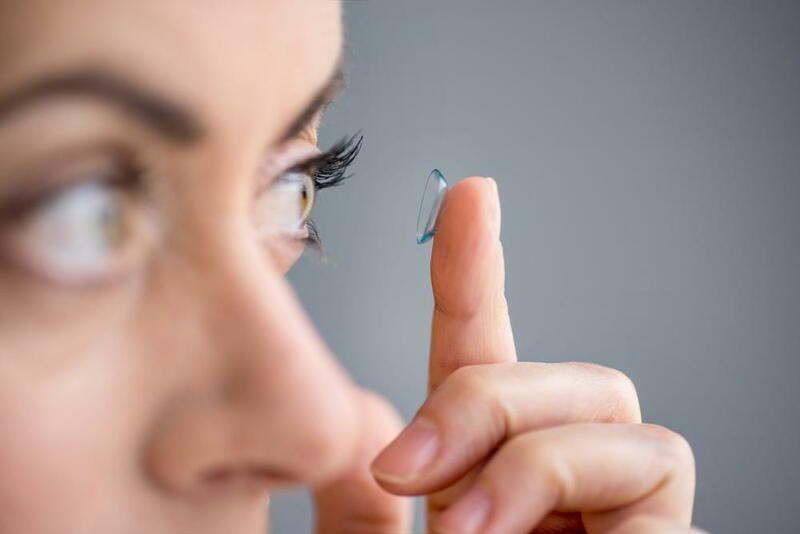 The Center for Disease Control has named August 21-25 the week of National Contact Lens Health Week, with the goal of promoting healthy habits when it comes to wearing contact lenses. As part of this week, Wichita Optometry, P.A. wants to provide useful information to patients who wear contact lenses to learn more about the proper care of contact lenses. The first step in taking care of your eyes when you wear contact lenses is to make sure you properly clean your lenses. If you are wearing lenses that are disposable and need to be thrown out each day, don't try to extend the life of your lenses by wearing them extra. Pay attention to cleaning your lenses and make sure that your hands are clean before you get started. Use saline solution and contact lens cleaner to fully clean your lenses. While you may be tempted to wear contact lenses that have a small tear or haven't been properly sterilized, you can cause damage to your eyes if you do so. Dirty contact lenses can introduce bacteria and dirt into your eyes that can lead to irritation and infection. If you try to wear a torn lens, you will feel pain within a short period of time. Different types of contact lenses include hard lenses, soft, disposable and overnight wear. When you choose to wear contact lenses over eyeglasses, you are going to give yourself more versatility. You will be able to wear non-prescription sunglasses and won't have to worry about glasses fogging up on you when playing sports or working. Contact lenses can make you feel as if you don't need corrective lenses at all. Get An Eye Exam In Wichita Today And Get Fitted For Contact Lenses At Wichita Optometry, P.A. Call Wichita Optometry, P.A. today at 316-942-7496 and set up an appointment to learn more about contact lenses and whether they are right for you.